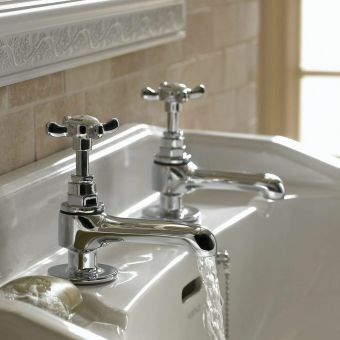 Period fittings in any bathroom are a joy as well as stylish additions. 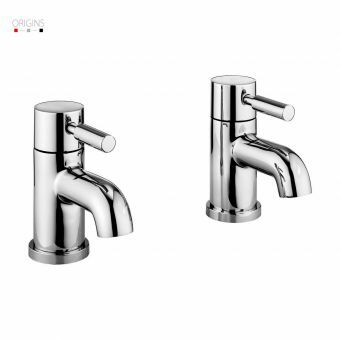 The Bristan 1901 bath taps move boundaries in unsurpassed design as well as having finishes that will tantalise and remain unsurpassed in choice and quality. 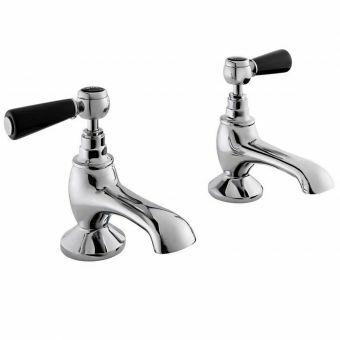 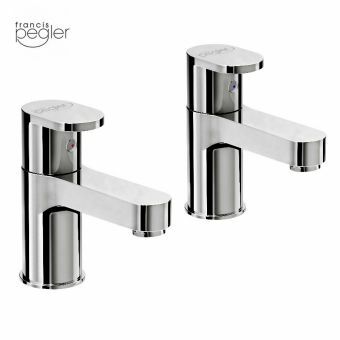 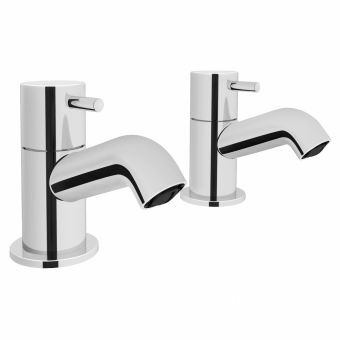 Sold as a matching pair with each tap having a ceramic indices set into its top, the crosshead styling of the handle makes it easy to grasp and select the correct flow rate. 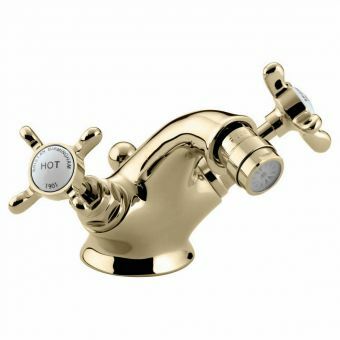 The brass bodied taps pass numerous quality checks to ensure you only receive the best on offer. 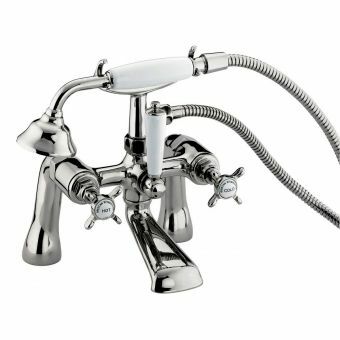 Designed to work with both low and high pressure systems, they feature standard 3/4 inch pipe connections to make installation easy. 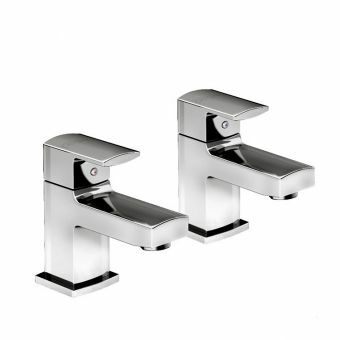 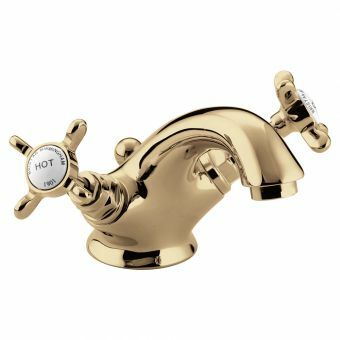 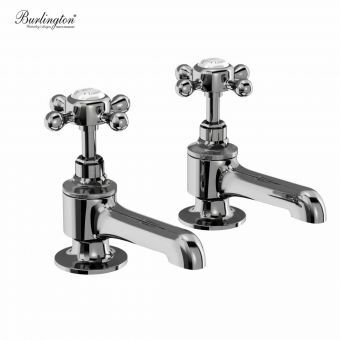 Looks are equally as important as functionality and these superb taps can be ordered in both classic chrome and sophisticated antique gold that will enhance your bath time experience. 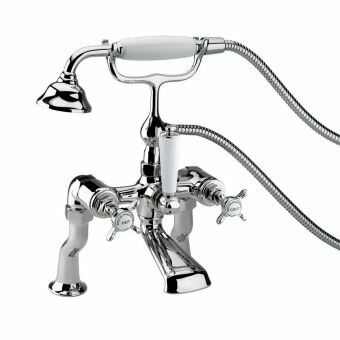 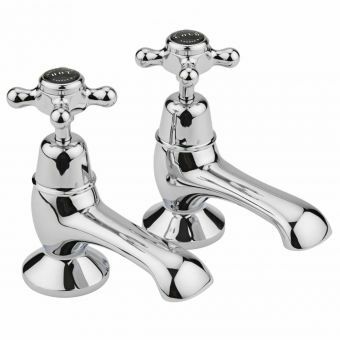 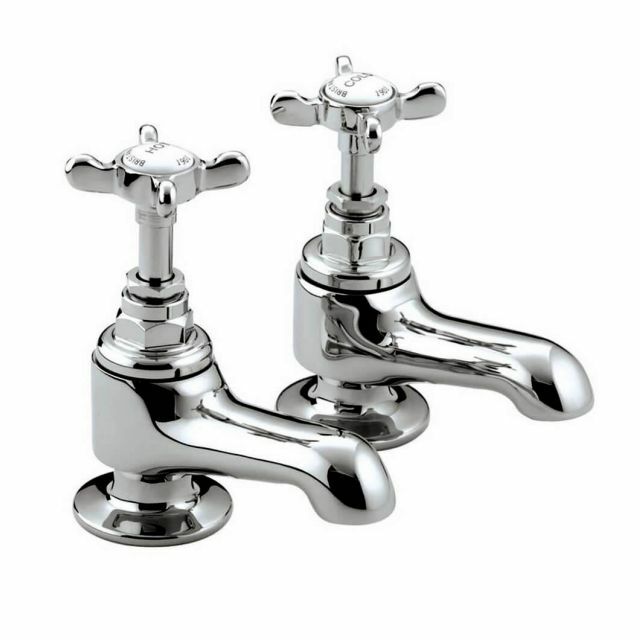 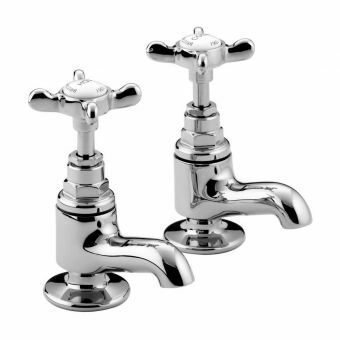 With individual taps for hot and cold water delivery, this bath set will show off your Victorian bath to its best advantage.